On 19 March 2012, I published an article in the major American political journal The Weekly Standard, titled (in English) "Kosovo Continues Fight Against Wahhabi Infiltration" ["Kosova vazhdon luftën kundër infiltrimit të Vahabistëve"]. The article was written during my most recent visit to Kosova. It dealt mainly with the removal of Musli ef. Verbani as imam of the Gazi Sinan Pasha mosque in Kaçanik, and imam Verbani's challenge to Sabri ef. Bajgora. I am a journalist and author. I am the executive director of the Center for Islamic Pluralism (CIP). CIP is an international network of moderate and traditional Muslim scholars, intellectuals, journalists, clerics, and activists in 25 countries. Its main areas of operation are the U.S., UK, Germany, the Balkans, Israel, Iraq, Saudi Arabia, and India. The President of CIP is Kemal Silay, Ph.D, professor of Ottoman and modern Turkish culture at Indiana University, USA. The article titled "Kosovo Continues Fight Against Wahhabi Infiltration" ["Kosova vazhdon luftën kundër infiltrimit të Vahabistëve"] was not a CIP report or official document. In an interview with Kosovar media, on the same day (29 March) Sabri ef. Bajgora repeated these charges against me and even threatened legal action against the public critics of the BIK leadership. He described the dissident imam from the Kosovo city of Podujeva, Idriz ef. Bilalli, as my "collaborator" [bashkëpunëtor]. I have never had the honor of meeting imam Idriz ef. Bilalli, but I admire him and would be pleased to serve him and his activities in any way of which I may be capable. Earlier, on 26 March, Naim ef. Tërnava, the chief Islamic cleric of Kosova, was interviewed by Radiotelevizioni i Kosovës (RTK) and said, as noted in Koha Ditore, "the competent Kosova institutions should prohibit entry of foreign nationals who by their actions only spoil the image of the religion of Islam in Kosovo and damage the religious tolerance cultivated for centuries among the Albanians" ["institucioneve kompetente të Kosovës të ndalojnë hyrjen në vend të shtetasve të huaj, të cilët me veprimet e tyre po prishin imazhin e fesë islame në Kosovë dhe po dëmtojnë tolerancën fetare të kultivuar me shekuj ndër shqiptarë."] Most of Naim ef. Tërnava's remarks of 26 March, however, consisted of demands for a large-scale mosque that will match the projected Catholic Cathedral in Prishtina. Rather than repudiating extremism, Naim ef. Tërnava showed in this statement that he wishes to cleanse himself and his colleagues of the charge of encouraging radicalism by a perfunctory denunciation, while maintaining a hostile and unproductive polemic against Catholics. The statement of the BIK is correct in describing me as a "friend" of the Community. I here state openly, however, my disagreement with Naim ef. Tërnava, on two counts. First, responsibility for protecting Islam in Kosova from foreign Islamist agitators does not rest with the state institutions for border control, but with the BIK, which guards the invisible border between Muslims and non-Muslims in the republic. If the BIK makes clear that Wahhabi and other extremist agitators have no place in Kosova, the radicals will be discouraged from entering the country. Naim ef. Tërnava and his colleagues cannot shift responsibility for the moral health of Islam in the republic to the Kosovar authorities, especially since Kosova is a secular state. Second, as a Muslim and long-time friend of Albanian Catholics, I believe that controversy over the new Cathedral in Prishtina and statements of resentment by Muslims will serve no purpose other than that which Naim ef. Tërnava claims to oppose: in his own words, "damage to the religious tolerance cultivated for centuries among the Albanians" ["dëmtojnë tolerancën fetare të kultivuar me shekuj ndër shqiptarë."] BIK, in its 29 March statement, made various fine affirmations of its commitment to Hanafi jurisprudence and religious cooperation among Albanians. I wish to believe these words. But until discrimination against moderate clerics and professors of Islam in Kosova has ended, and until the BIK acts positively to end the current campaign of insinuation against Catholics – and even afterward – I will continue my professional activity and fulfill my spiritual duties in reporting on the problems within the BIK. Notes: The original Illyria page with this article in English may be accessed as a .pdf by placing your cursor on the title Illyria at the head of this post. The article appeared in Albanian as an announcement in the main Kosova newspaper, Koha Ditore, on April 6, 2012, and may be accessed here: http://www.islamicpluralism.org/documents/2020.pdf. This article in Albanian is also accessible, with interviews by Sabri ef. Bajgora and Naim ef. Tërnava, as they appeared in Illyria, at http://www.islamicpluralism.org/documents/2015.pdf. 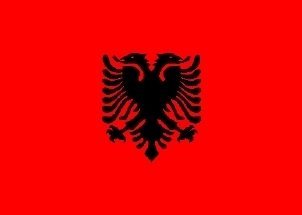 Shënime: Faqe origjinale nga Illyria-se, me këtë artikull në gjuhën angleze, mund të arrihen si PDF duke vendosur kursorin në fjalën Illyria në krye të këtij postimi. Artikulli në shqip u botua në gazetën kryesore të Kosovës, Koha Ditore, më 6 prill 2012, dhe mund të arrihen këtu: http://www.islamicpluralism.org/documents/2020.pdf. Ky artikull në gjuhën shqipe është gjithashtu të arritshme, me intervista nga Sabri ef. Bajgora dhe Naim ef. Tërnava, siç u shfaq në Illyria-se, në http://www.islamicpluralism.org/documents/2015.pdf.